An independent real estate investment management company, composed of a multidisciplinary team, whose complementary expertise combines a deep knowledge of the real estate and capital markets. The focus on strategic management ensures the penetration and flexibility to operate in several segments of the real estate market, where specialized partners ensure a lean and unique business model. The prospection and joint development of vertical residential projects in the main cities in the South and Southeast regions of Brazil. 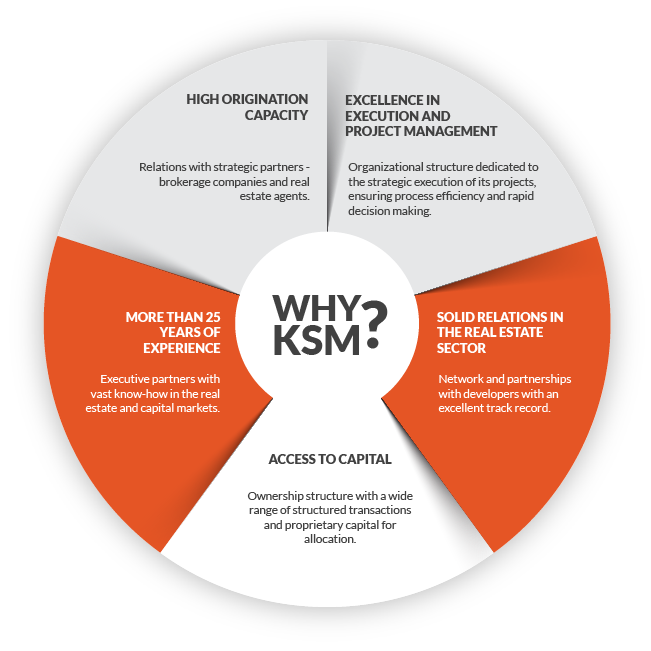 KSM maintains partnerships with renowned local developers with an excellent track record, jointly managing its projects and focusing on structuring and positioning its developments.